Please wait for the flash music player to load. Welcome to True Blue Records. President and Founder Brianna Bowie has created world class recording projects that are rare works of art that come purely from the heart. 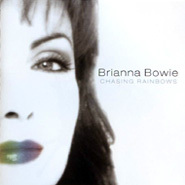 Although Brianna grew up in Calgary, Alberta, Canada she has spent the last 20 year’s in Los Angeles California where she is an accomplished singer, writer and producer. 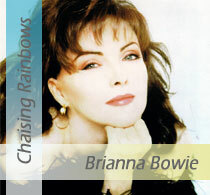 Brianna’s long awaited debut Jazz CD and the first release for True Blue Records is set to hit the world market on August 15th/2008.This imaginative CD is entitled “Chasing Rainbows” and was recorded in Los Angeles, California at Talking Dog Studio’s on March 30/2008. These fresh and innovative new interpretations of timeless standards was produced and arranged by alto saxophonist, Doc Doolittle. Brianna is beautifully accompanied by some of the all time living legends in Jazz. 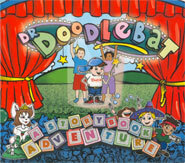 Dr. Doodlebat-A Story Book Adventure is a children’s healing CD that is the only one of its kind on the world market today. This unique creation of healing poems that move children through beautifully orchestrated musical backgrounds that stimulate and engage the powers of the child’s own healing mechanisms is entertaining, educational, healing and comforting.